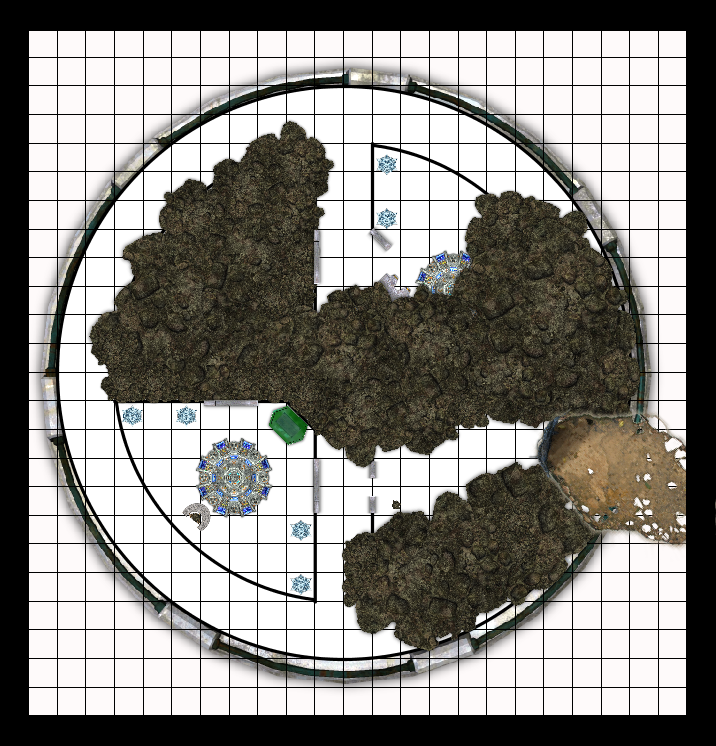 Entrance level to the Eorna Defense Installation ruins. 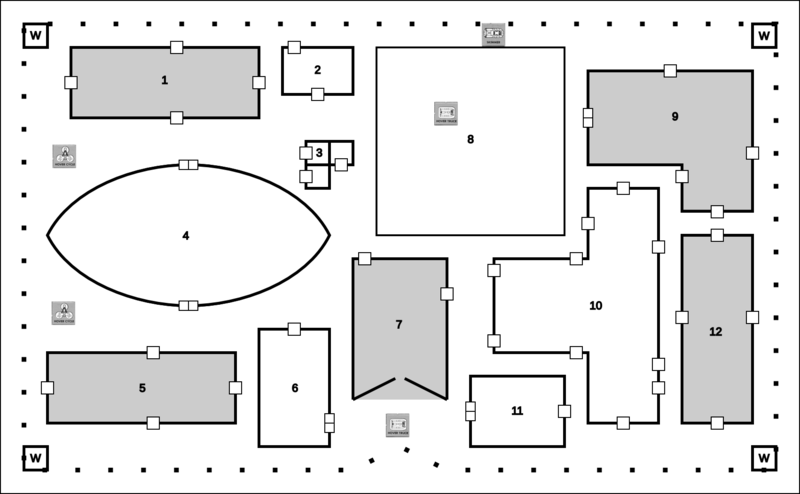 This is the version for the abandoned scenario option. 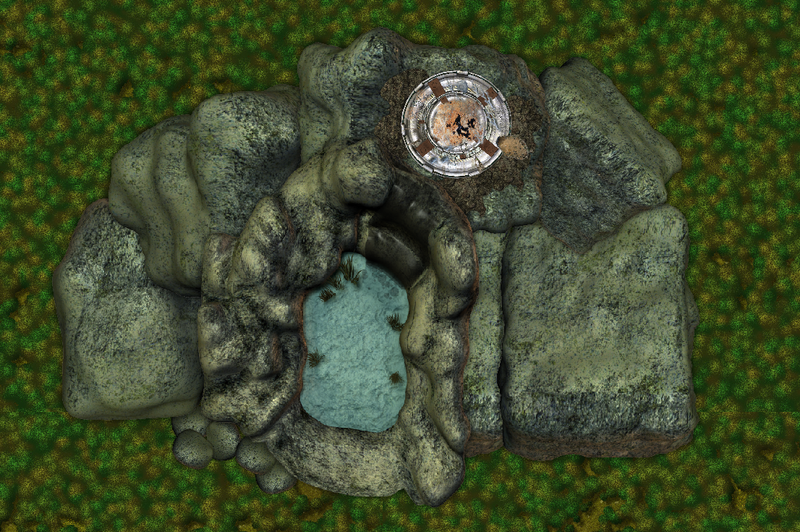 Entrance level for the Eorna Defense Installation ruins. 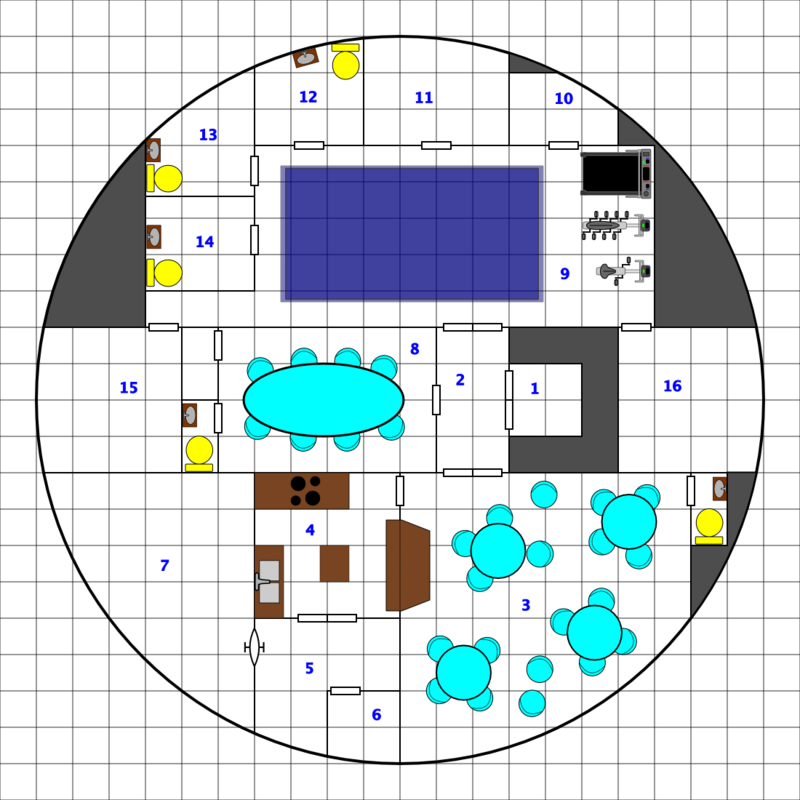 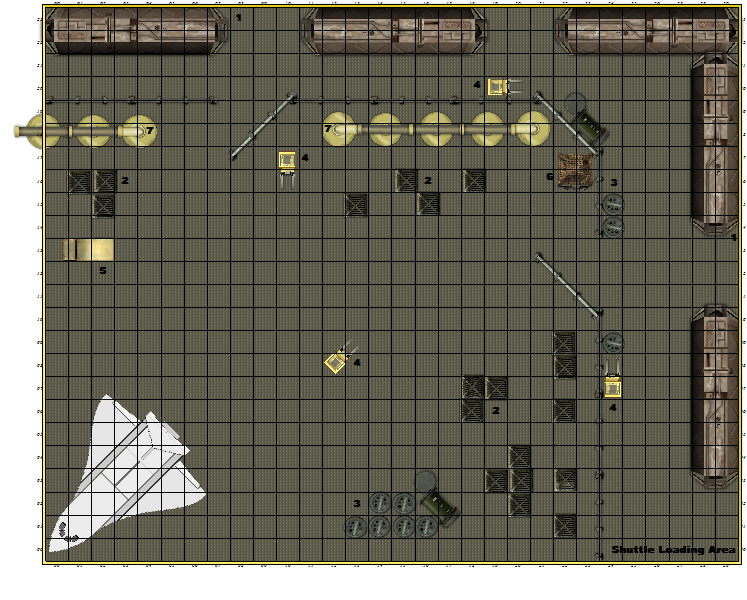 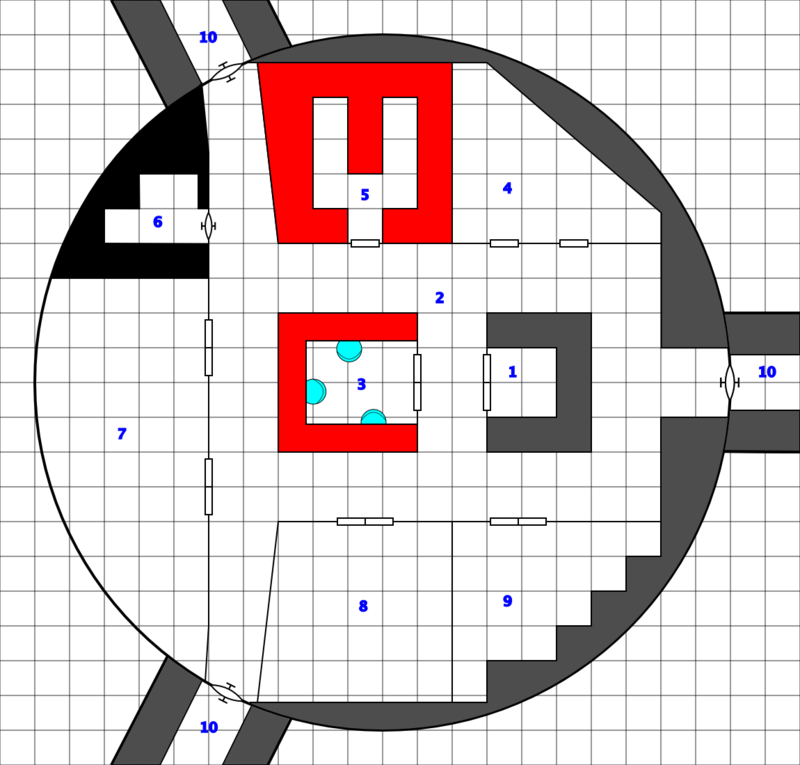 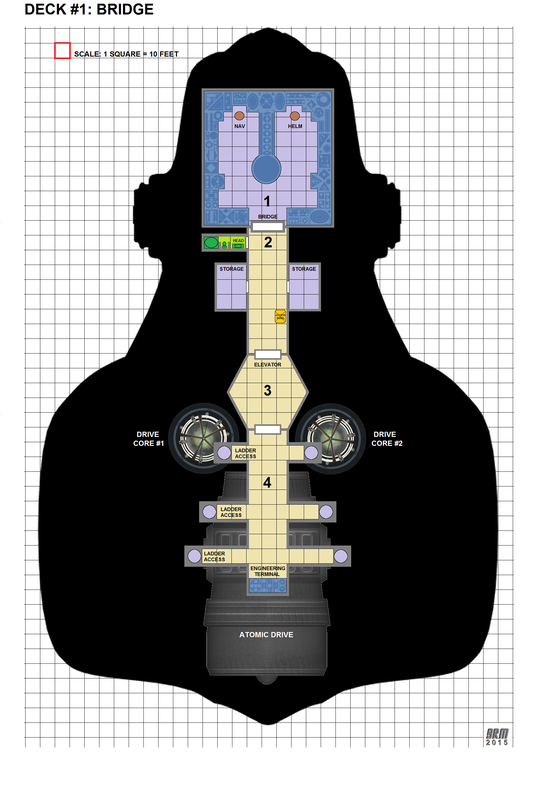 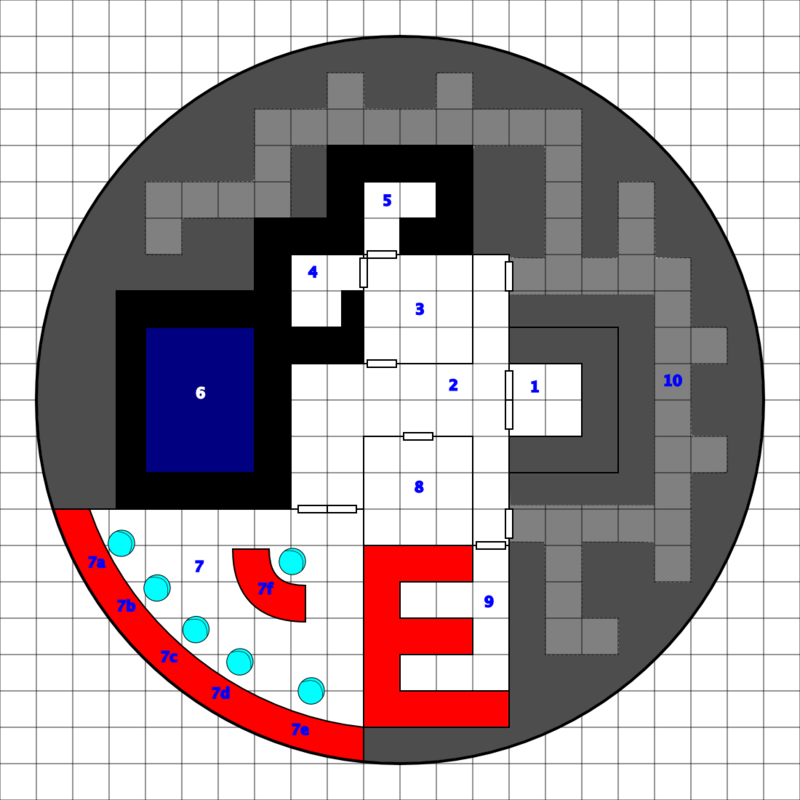 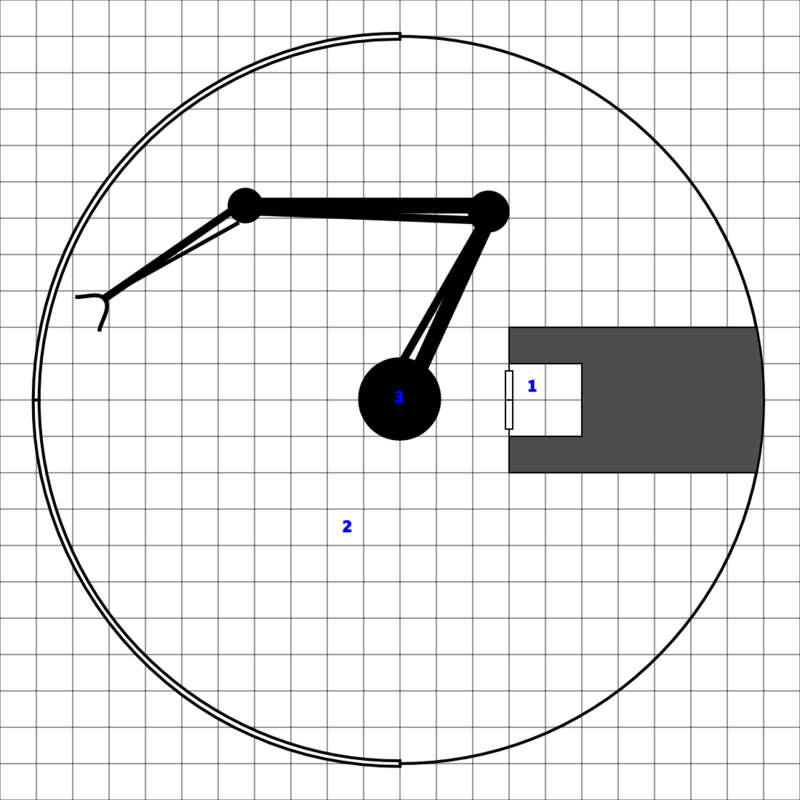 This is the map for the Mechanon Lab scenario option. 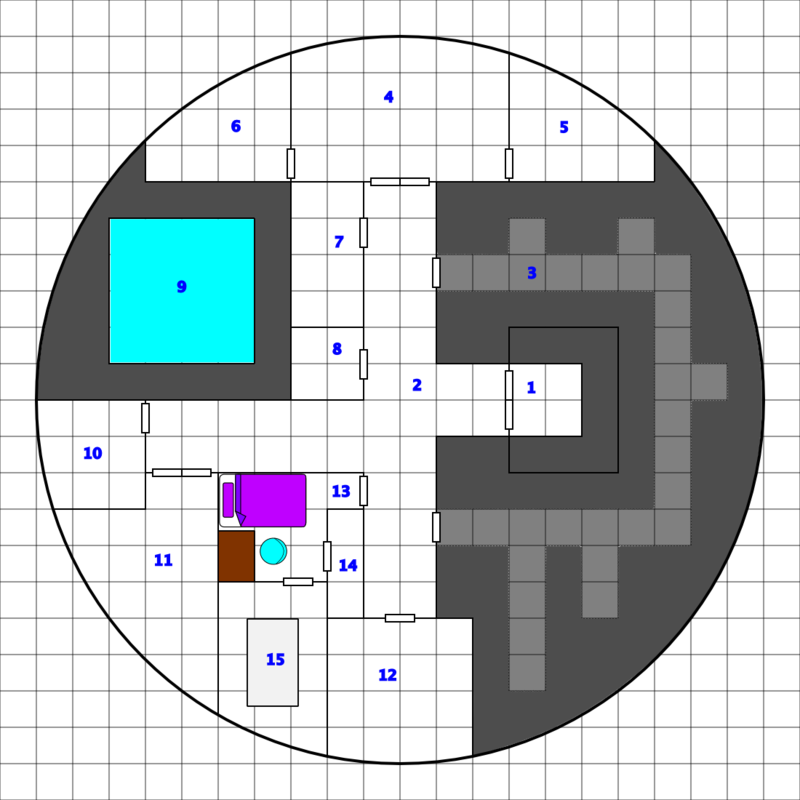 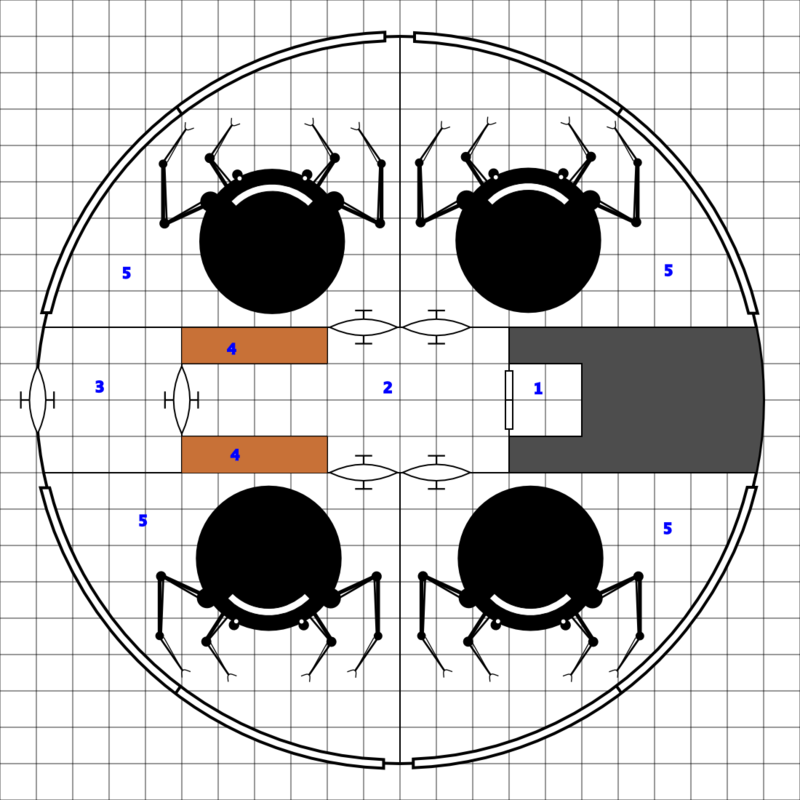 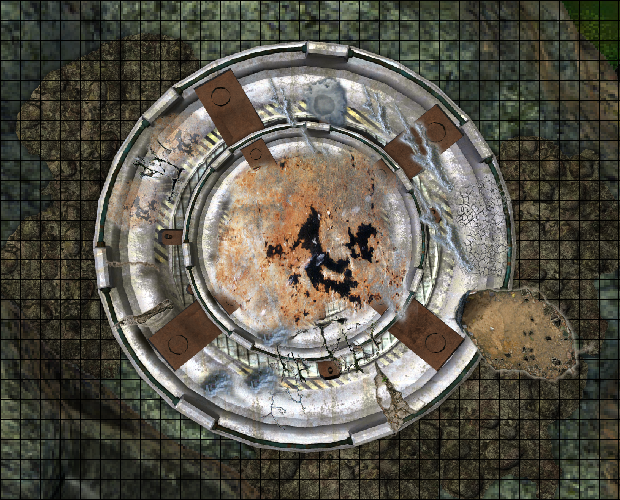 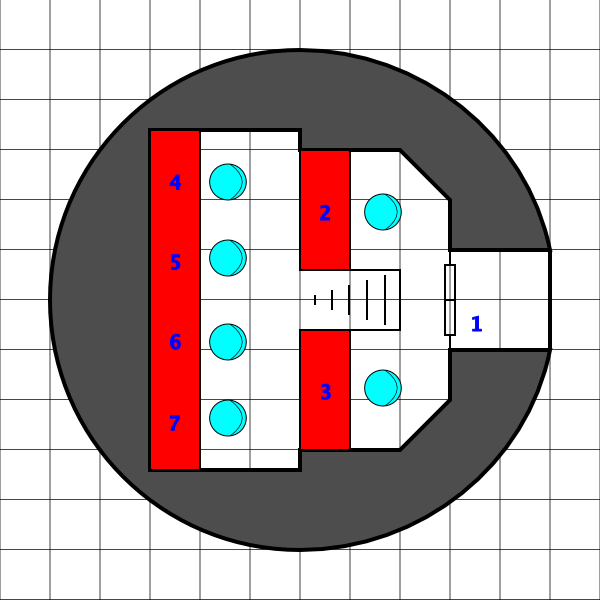 Map of the exterior top level of the Eorna Defense Installation ruins. 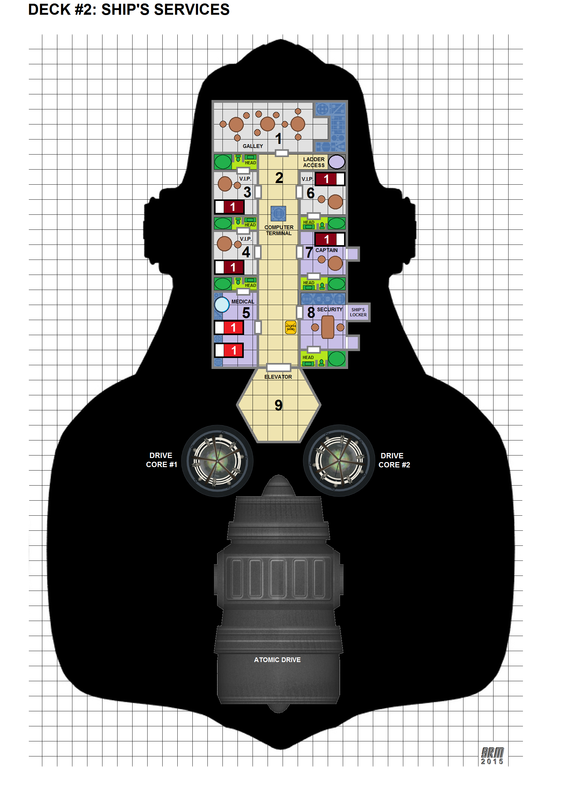 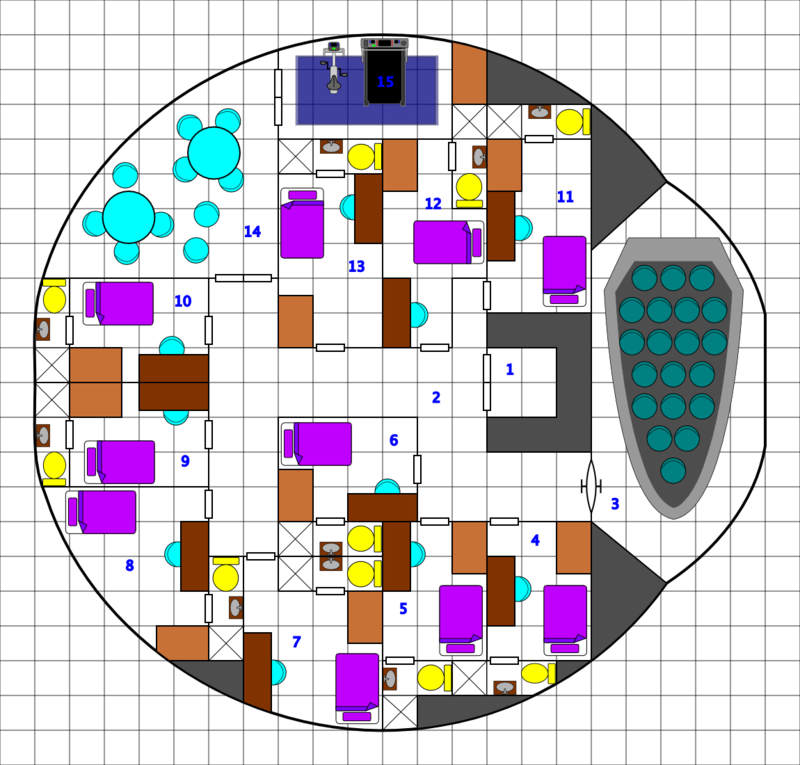 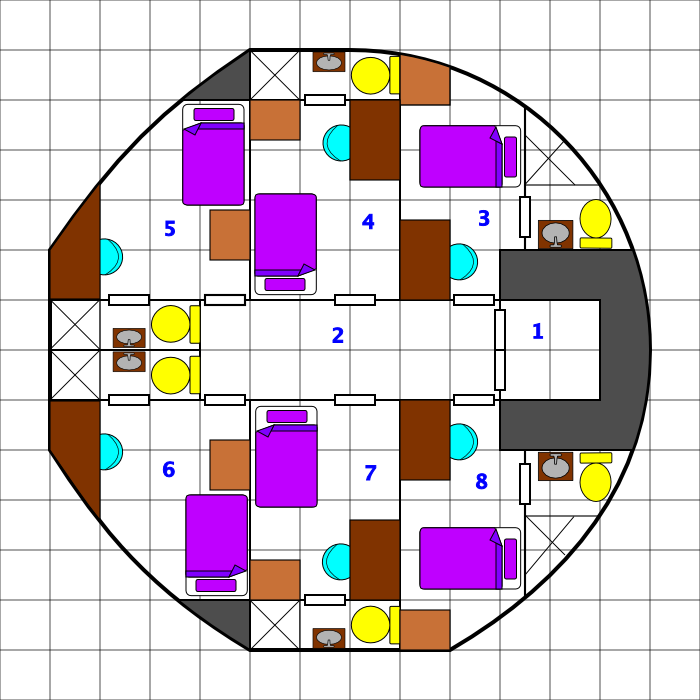 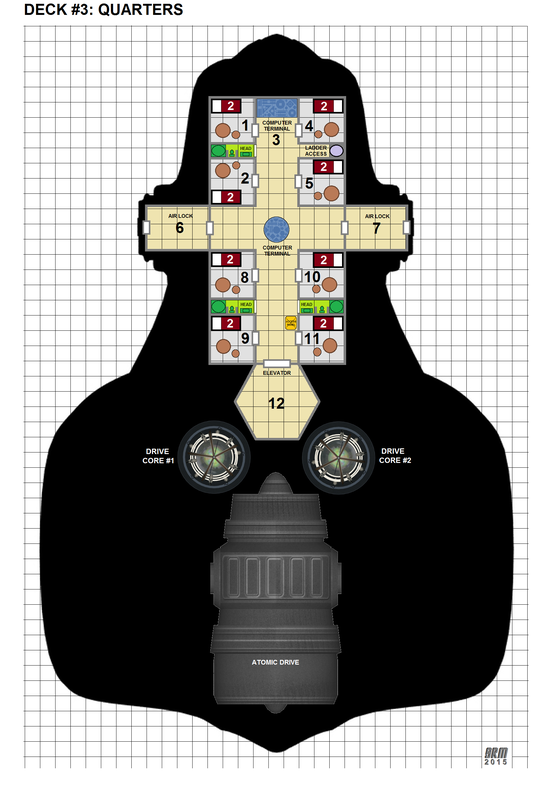 Silhoette and deck layout of the CFMS Venture, a Dawn Trader class ship. 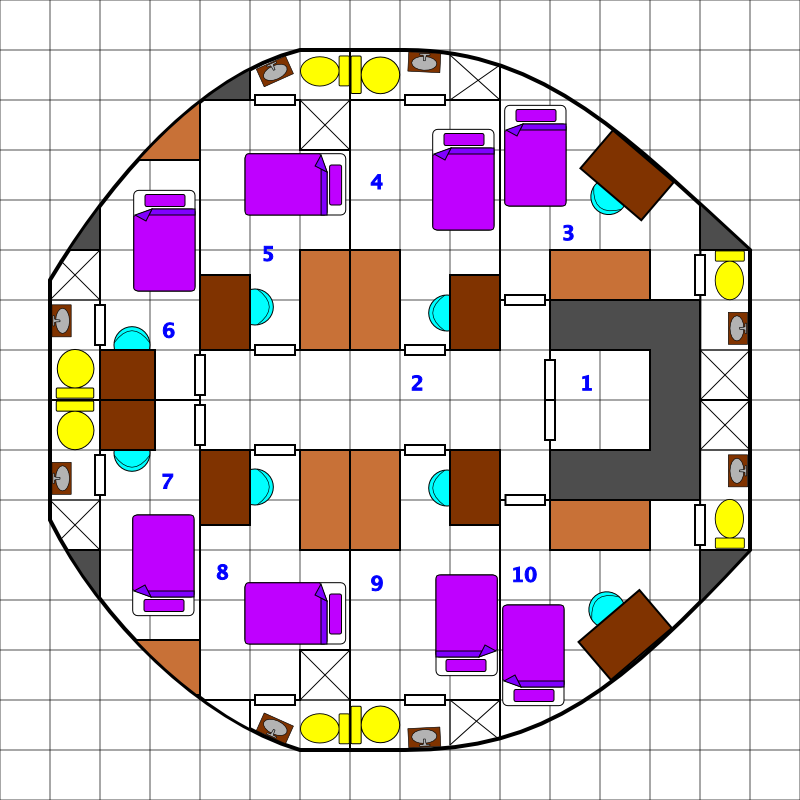 Common deck of the CSS Nightwind containing recreation and dining facilities. 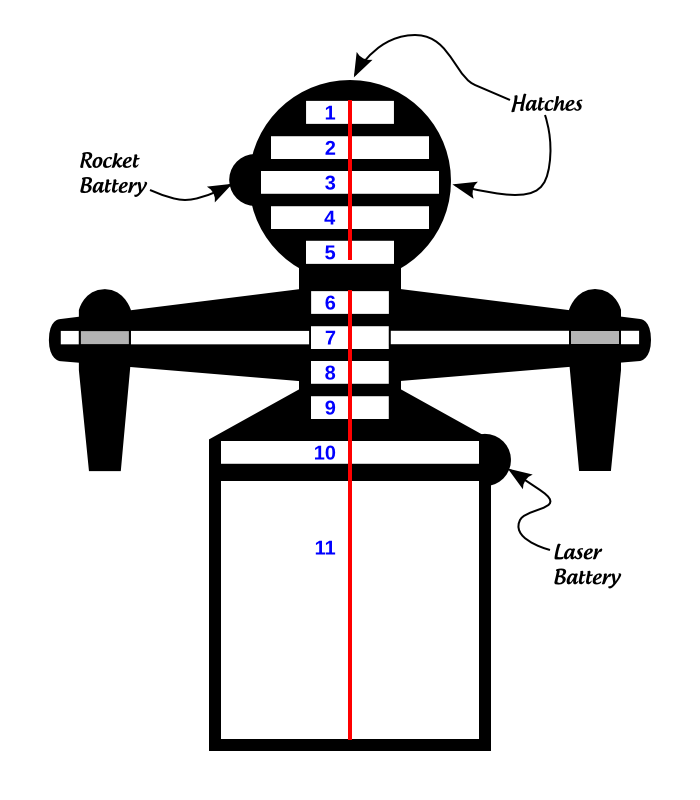 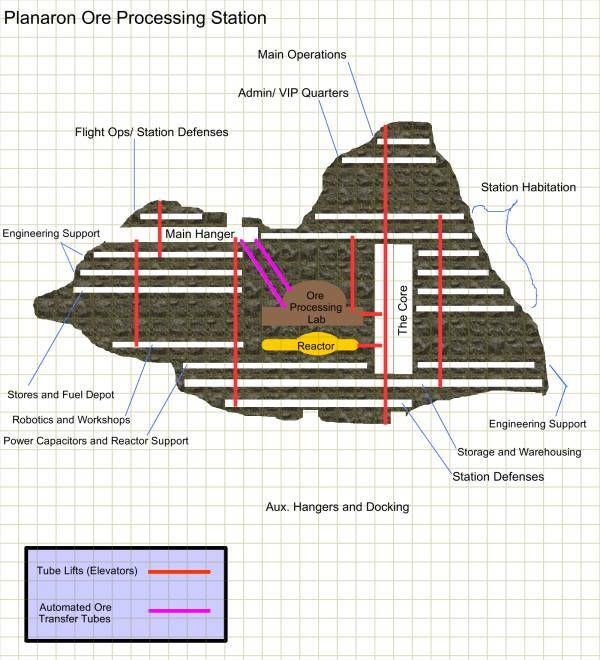 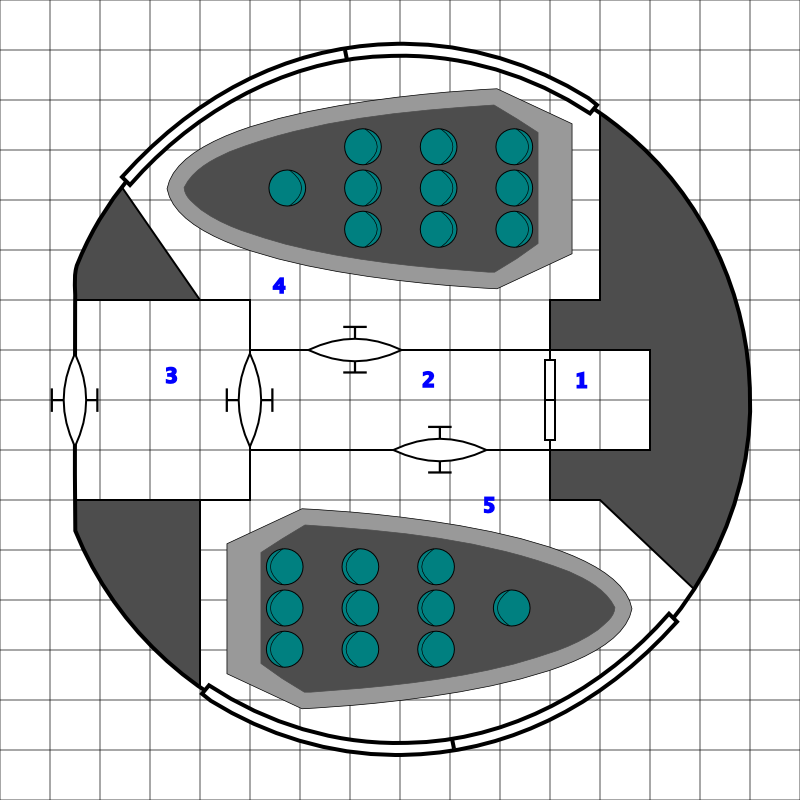 Cross section of the Planaron Station showing the location of the various decks and levels.